Here’s what I did. I’m proud to say it got the BF stamp of approval, too. 1. 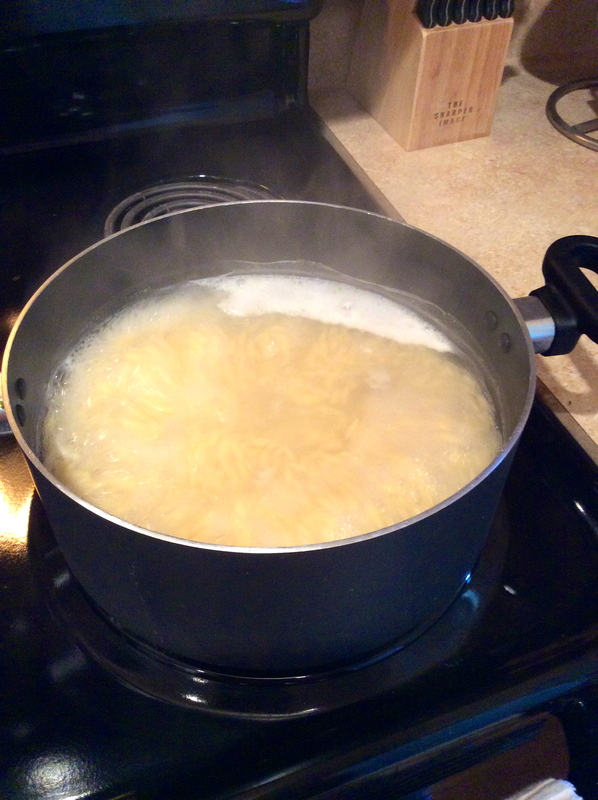 Bring a large pot to boil and add 2 cups of orzo. Follow directions on container. 2. 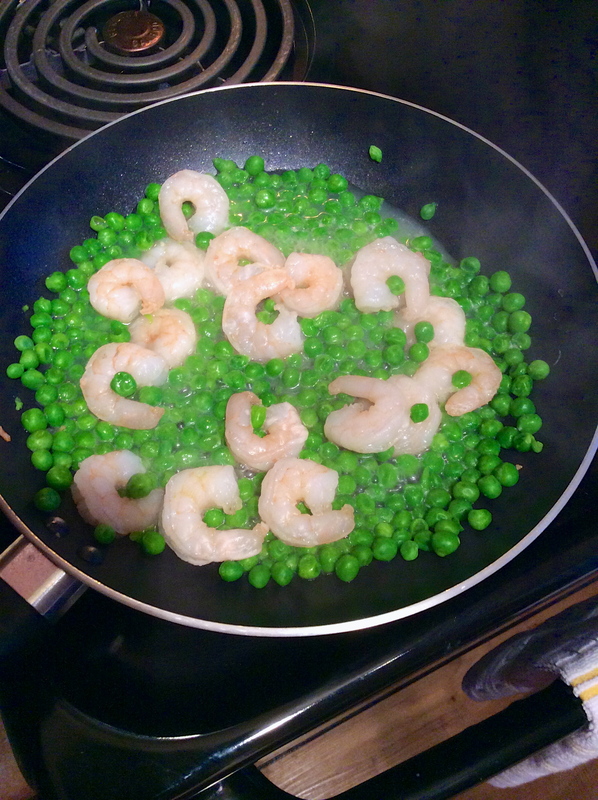 Heat up the frozen peas and shrimp in a large skillet. 3. Once the pasta finishes cooking, drain and serve with peas and shrimp. Throw some shredded cheese on top and you’re good to go! Voila! 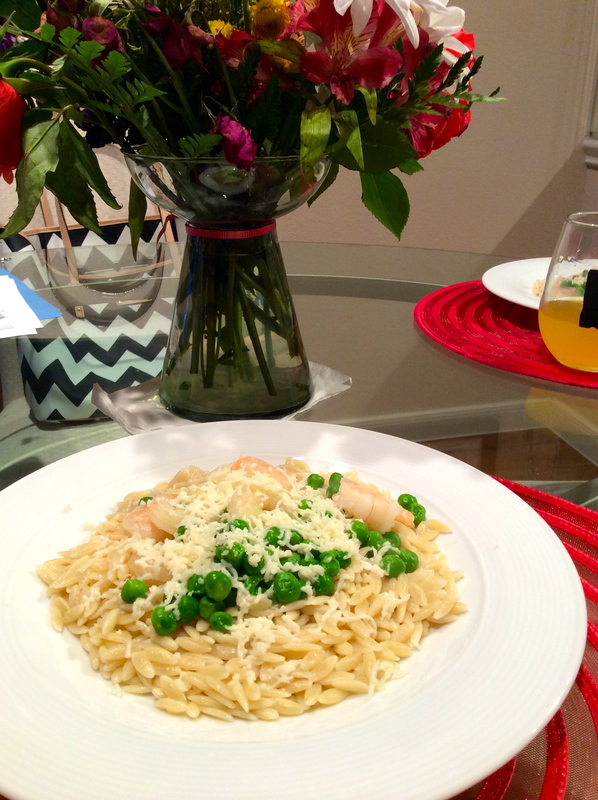 Orzo with Grilled Shrimp and Peas. I mean, how easy is that?! It took a total of 15 minutes and I even had leftovers. 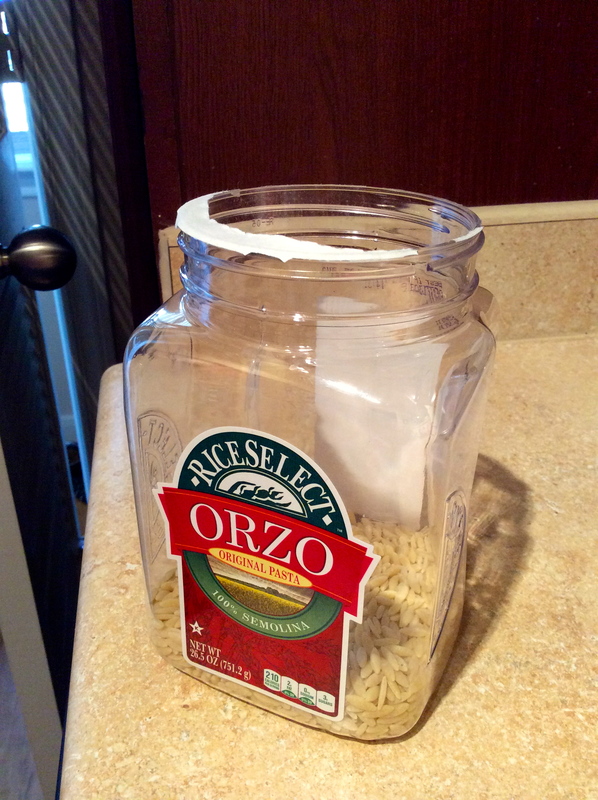 I was just watching an old MasterChef episode last night where they made orzo…made me think I should try it! This may just be my debut orzo recipe! Thanks! Woo! Like with most pastas, you can really throw anything you want in it. This was mixed with just a little bit of olive oil, but I bet marinara sauce would be great with it, too.